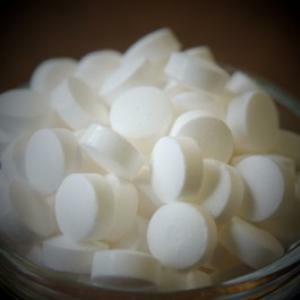 Campden Tablets are often used by beer brewers to remove chlorine or chloramine from their brewing water. 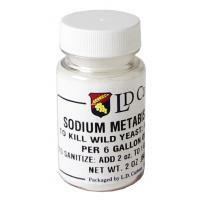 Campden Tablets contain sodium metabisulfite which releases suphur dioxide to prevent wild yeast, bacteria growth, and oxidation in wine. Each tablet adds 75 ppm free sulfur dioxide per gallon (pH dependent) making them a convenient way tot accurately sulphite wine. 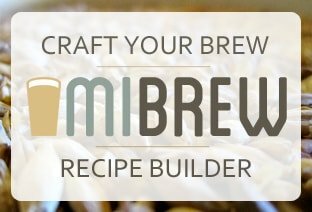 Use one tablet per gallon, two crushed tablets equal 1/4 teaspoon. Grind the tablet into a powder and dissolve in water before using. 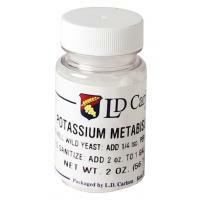 Potassium Metabisulphite - 1 lb. 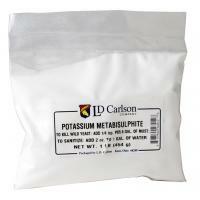 Sodium Metabisulphite - 2 oz.